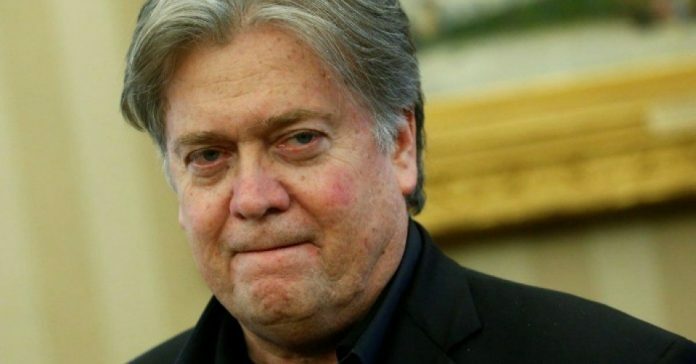 Stephen K. Bannon, who was ousted as White House chief strategist last summer but has remained in touch with some members of President Trump’s circle, is pitching a plan to West Wing aides and congressional allies to cripple the federal probe into Russian interference in the 2016 election, according to four people familiar with the discussions. The first step, these people say, would be for Trump to fire Deputy Attorney General Rod J. Rosenstein, who oversees the work of special counsel Robert S. Mueller III and in recent days signed off on a search warrant of Trump’s longtime personal lawyer, Michael D. Cohen. There is no indication that Trump, who forced out Bannon and later said his former adviser had “lost his mind” after leaving the West Wing, would be willing to take Bannon’s advice or is aware of the plan.